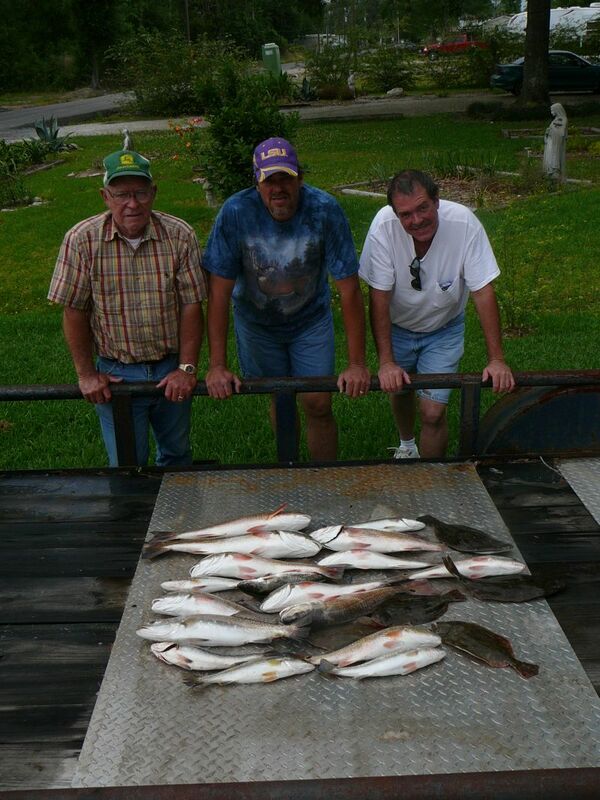 April 26,2008 Phillip P. Brother Wayne and Their Father Battle the Elements and Win!!! 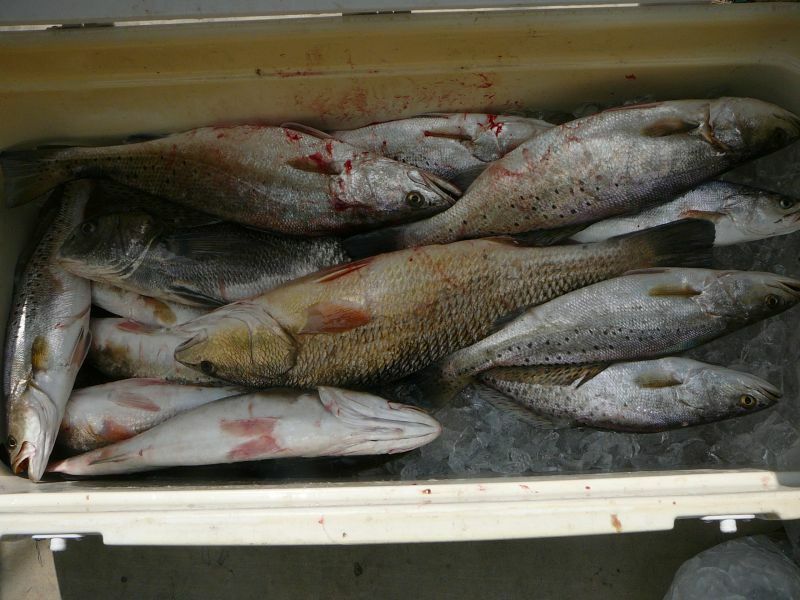 Not Rain nor Wind could stop Phillip P. his brother Wayne and their Father from Catching Reds, Trout and Flounder. Wayne had the big Red of the day (5#er) . 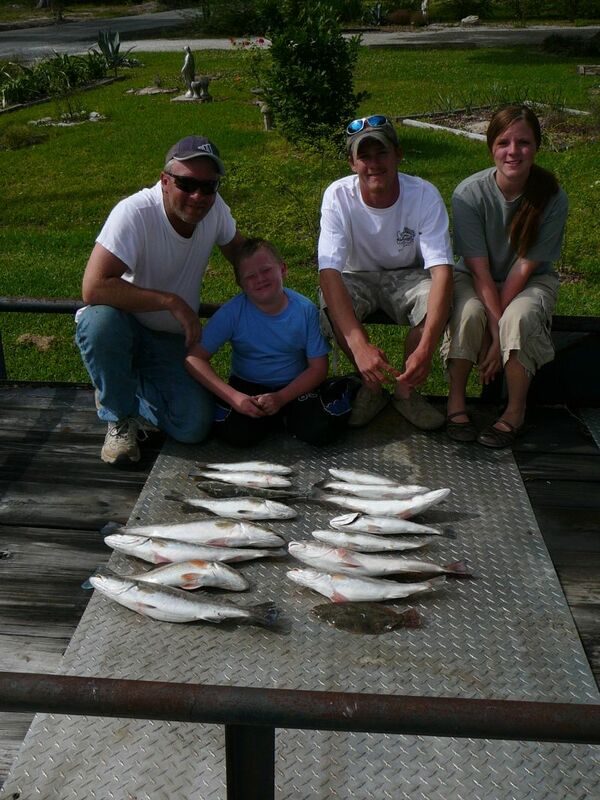 Phillip had the big trout (4#er) but dad had the most fish. 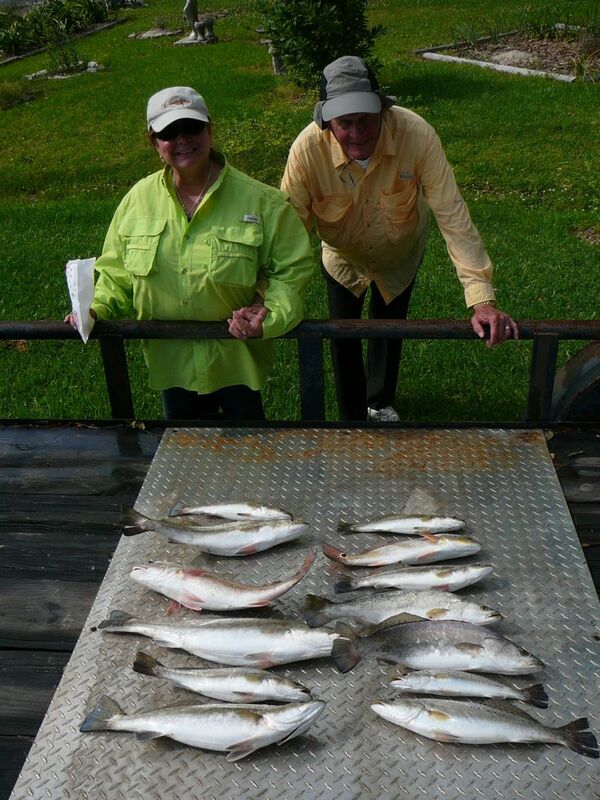 Another great family trip to Lake Calcasieu. 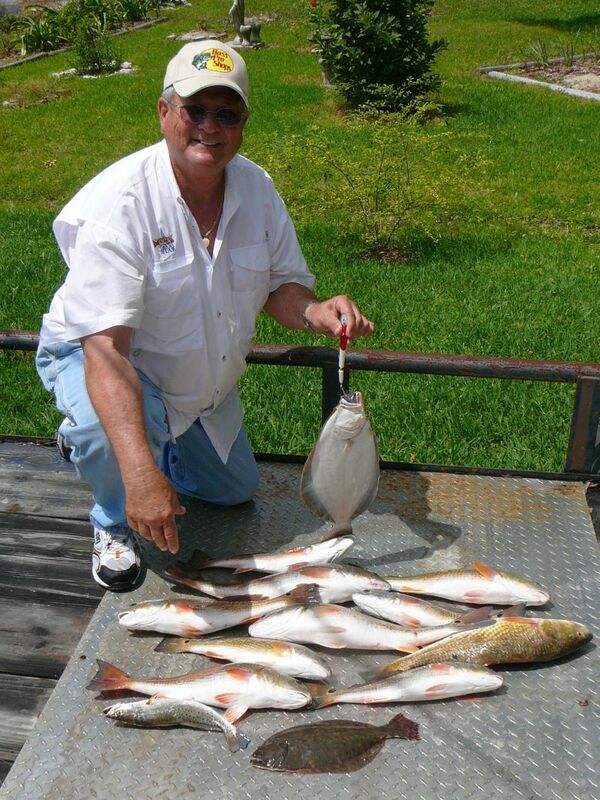 Jim R from Houston and some of his business friends found out a good day’s fishing on Lake Calcasieu really is better than a great day’s work. 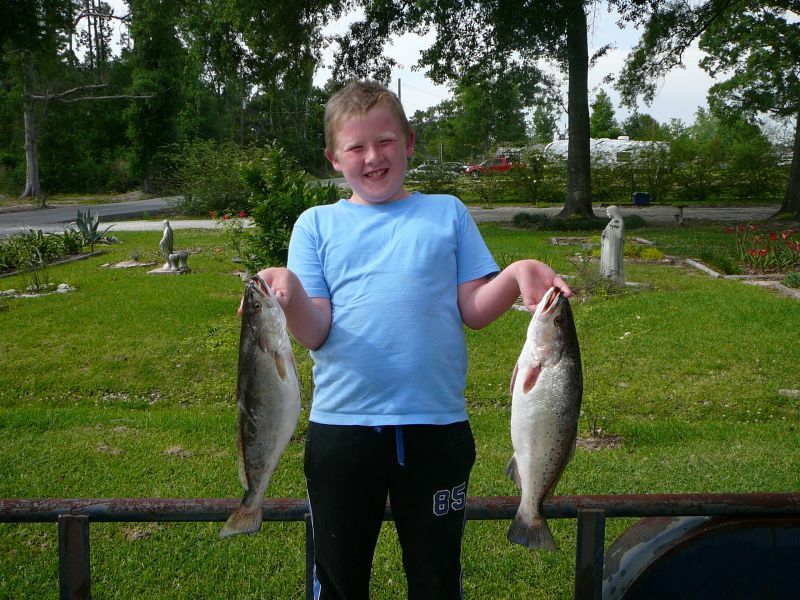 This 10 year old put a 5# and a 4# in the boat like a pro on 10# test. Great Job Kat!!!! April, 20,2008 Carl D. & 10 year old Kat ( A 5# and a 4# to his credit today) spent a great Family Day on Lake Calcassieu catching some Big Girls on the Full Moon Spawning Run. Carl said he’ll big back next month.